Heathrow Airport is twenty minutes by road. Gatwick Airport is forty minutes by car, or by rail via Victoria Station, Waterloo and Egham. There are fast trains from London Waterloo and Reading to Egham (not Windsor). The journey time from London is about 35 minutes. You can plan your journey using the National Rail Journey Planner. If you are travelling from within Greater London, you can also use the TFL Journey Planner. There is a taxi rank at Egham Station, and a taxi office 100 yards away on Station Road. 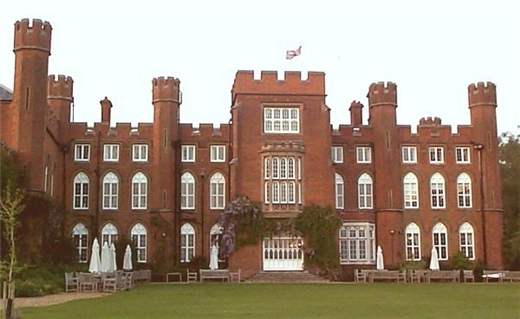 The approximate fares to Cumberland Lodge are about £9 from Egham, £25 from Heathrow, and £65 from Gatwick. For either airport it is best to pre-book a local taxi; the fares willl be much lower than an airport taxi. There is a list of telephone numbers for taxi companies in the Travel Directions and Route Map on the Cumberland lodge website. Get directions from the M25, from the west via the M40 and M4, and from the south via the M3 & A30 by these links or by downloading the Travel Directions and Route Map. Cumberland Lodge has plenty of free parking. Please note that for Crown Estate legal reasons, GPS SatNav Systems do not work within the Great Park. However, they do work for Bishopsgate Road, Englefield Green, TW20 0XU, which is just outside the Bishopsgate entrance to the Park, and SL4 2JA is for drivers coming from the Windsor and Ascot direction using the Ranger’s Gate entrance.